An optimum colostrum supply is the first and most important step on the way to healthy and high-performance milk cows. In contrast to other mammals, the calves of cattle are born without antibodies and are completely unprotected against the germ load in their environment. The development of their own immune systems takes several weeks – and until then the calves must depend on the antibodies of the mother animal. 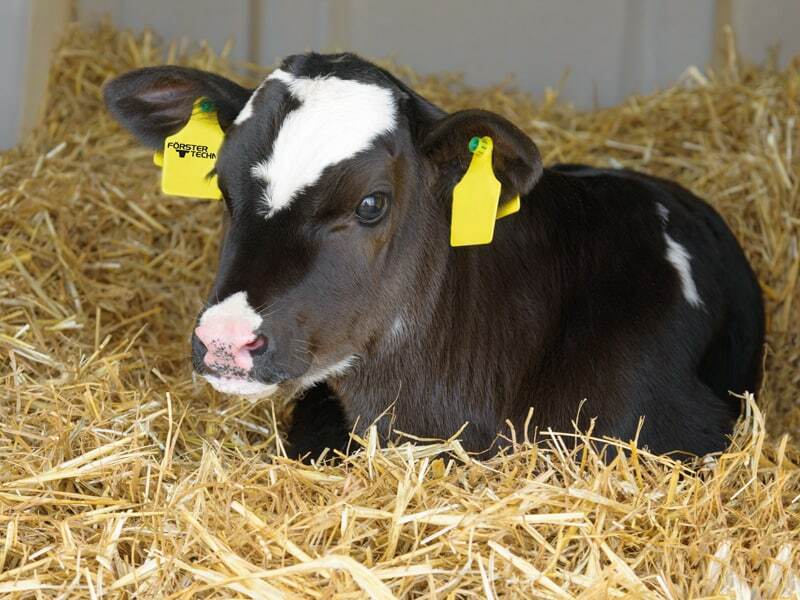 The colostrum supplies the calves with the vitally important antibodies and is thus the decisive measure for calf health and later performance potential! This is because colostrum is the little lever with the large effect on the life of your animals. Speed is of the essence when it comes to dispensing the first milk: It is only in the first four hours after its birth that the calf is able to absorb sufficient antibodies through its intestinal wall. The sooner the calf is supplied with colostrum, the better. The quantity is also decisive: The calf is optimally equipped when it receives 3 to 4 liters. The quality of the first milk is of course also significant, because not every cow has exhibits the same antibody content in the colostrum. Without delay, in sufficient quantity and good quality – These are the golden rules for an ideal colostrum supply! Pasteurization is an effective measure for enhancing colostrum and offers at the same time two decisive advantages: Killing off the germs considerably reduces the germ load for the newborn calf, while at the same time the absorption of antibodies can be greatly improved when pasteurized colostrum is the source. This results in twice as much protection for your new arrivals! To ensure optimum calf health from the very start, we have developed the ColostroFIT colostrum management system: After milking, the handy BagFiller Deluxe is used to fill the first milk into the hygienic ColostroBAGs. In the easy-to-operate pasteurizer ColostroMAT, the colostrum is gently and effectively pasteurized and can then be frozen and stored. As soon as a calf is born, the first milk can be heated up in the ColostroMAT and brought to the optimum feed temperature. No refilling is necessary for dispensing the colostrum: With the practical accessories, you can screw the teat directly to the ColostroBAG. You would like to drench your calves? The drenching tools from the ColostroKIT are also easy to screw onto the ColostroBAG. The practical Comfort Caddy carrying aid ensures simple handling for the dispensing of first milk. You will find everything you need for your optimum colostrum management at our ColostroSHOP, which offers convenient ordering from the comfort of your own home. We would be happy to advise you – Give us a call!